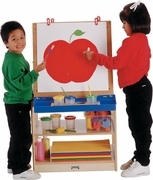 The Children's 2 Station Art Easel offers ample storage space below and between easels. Minimal assembly. Base is 25½" wide x 20" deep x 22½" high. 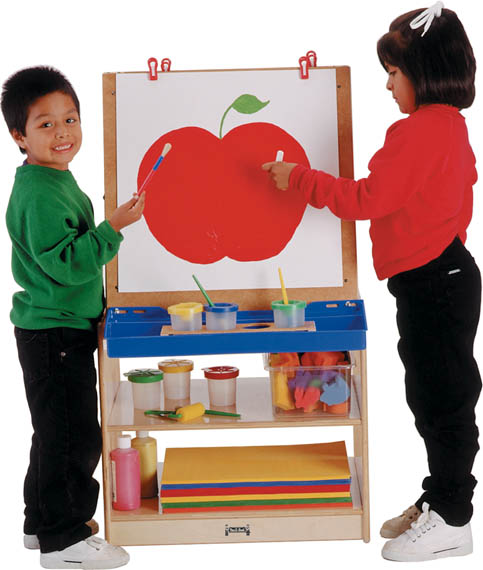 Overall height is 45 inches.